Yacht & Smith Lot Of Sterling Silver /Stainless Steel Earrings, Great Valentines Gift at low wholesale prices. Socksinbulk.com offers Necklace at bulk discounted prices. - Our fashion earrings are made of high quality material and is perfect for resale. Made to last and is a great choice for people who love to accessorize. You will love the wide variety of studs, ear climbers, beaded fringe earrings and lots more. 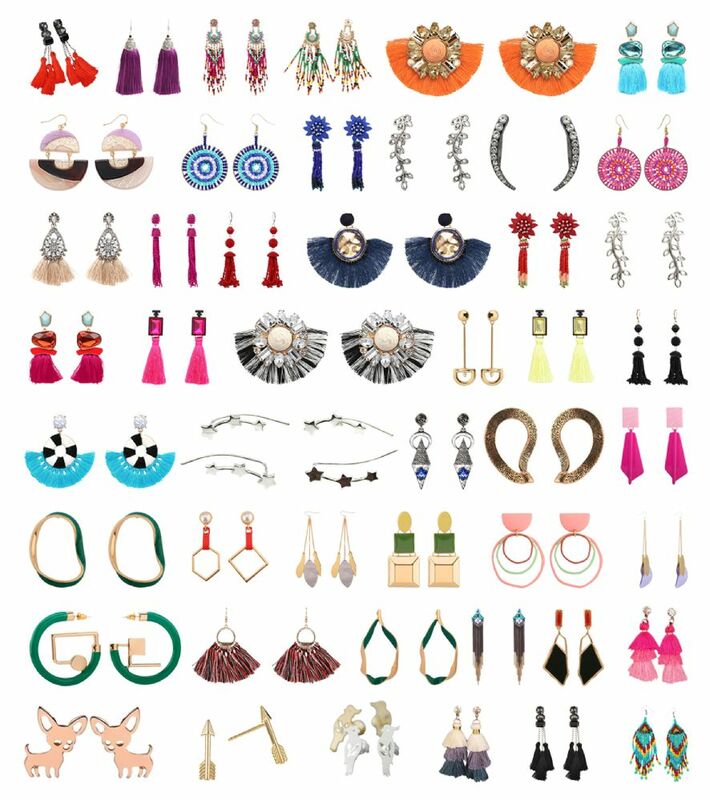 - Bulk pack of fun assorted earrings include chandelier earrings, copper statement earrings, long fringe danglers and much more. Give your customers a complete look with fun fashion accessories to compliment their outfits. - A great buy for boutiques and gift shops. This variety set contains so many different styles for any age and makes a perfect present for women, kids and teens. Makes a great giveaway for parties and events!